Franklin Bell is your local, professional and friendly Perth Electrician. 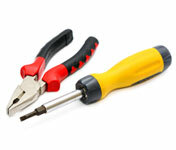 We do any type of domestic or commercial electrical work, ranging from small repairs to complete fit-outs. 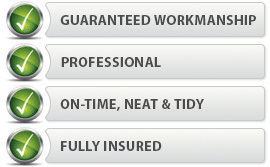 We are fully licensed and provide Free Quotes. We have more than 10 years experience as electricians and pride ourselves on quality work and taking good care of our customers. Feel free to Contact Us today on 1300 765 090 or 9455 1047 for all your electrical needs. Franklin Bell Electrical and Data Contractors Pty Ltd. is a WA owned electrical contracting business. With more than a decade experience in the industry, we understand the importance of convenience and safety in electrical installations. We've served several hundred Perth residents and businesses and understand the importance of being easy to reach. We honour our commitments in terms of appointments and we deliver what we promise. We treat our customers and their property with respect.